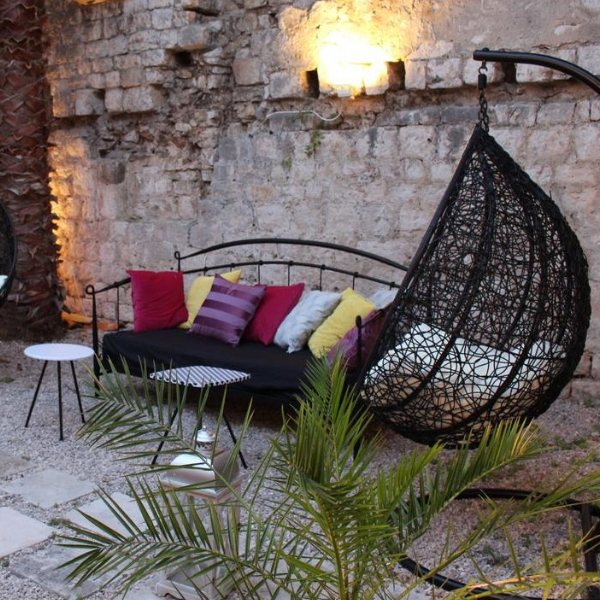 The Hotel San Giorgio is a luxurious boutique property that is located in the heart of the beautiful island of Vis. The family run, 4 star hotel offers exceptional service, spacious and modern accommodation and a host of amenities and facilities. 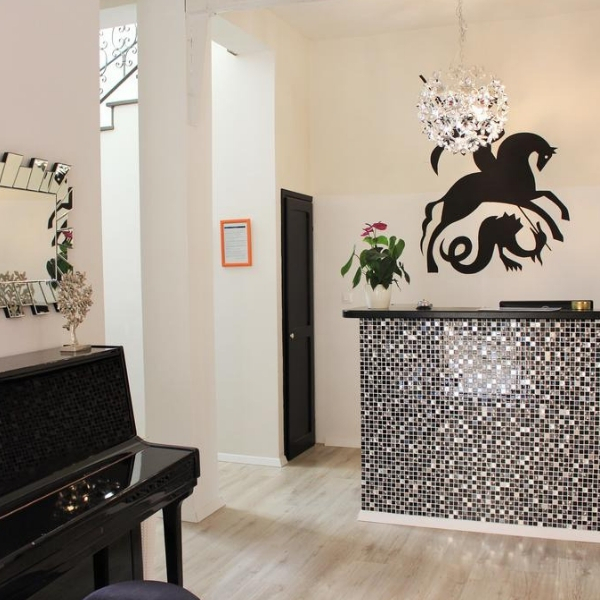 The hotel is nestled in amongst the ancient and narrow cobbled streets and offers easy access to the popular attractions, shops, cafes and restaurants in the town centre. As the sandy and pebble beaches are also conveniently situated just 20 metres away, hotel guests can enjoy culture, shopping and complete rest and relaxation all in one day. 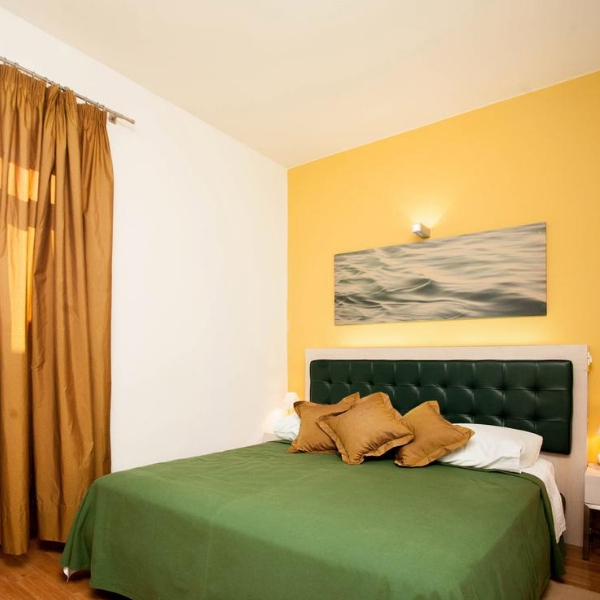 All of the guest rooms are fully air-conditioned and tastefully decorated in a modern style. The deluxe room also boasts a terrace and private Jacuzzi which is popular for guests enjoying their honeymoon in Croatia. 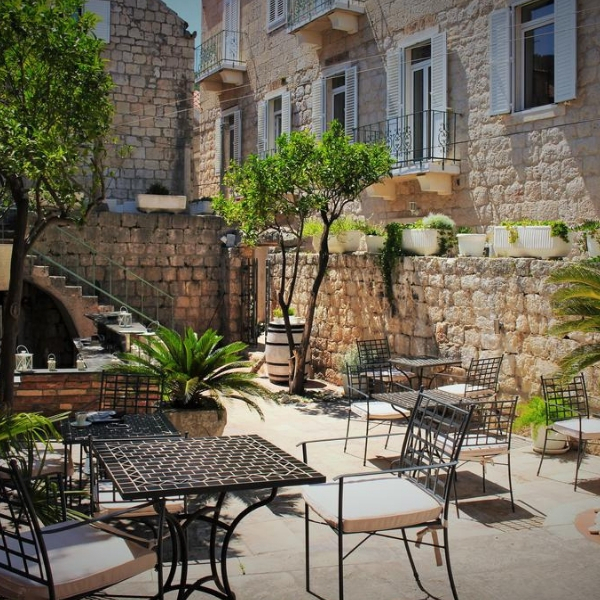 On-site there is a restaurant serving classic Dalmatian and international cuisine, plus a bar and peaceful garden. A massage service is also available. Vis is steeped in history and there are plenty of architectural sights to explore nearby. Excursions and day trips can also be arranged through our concierge service for guests wishing to explore beyond the fragrant lemon and orange trees of the hotel’s gardens.